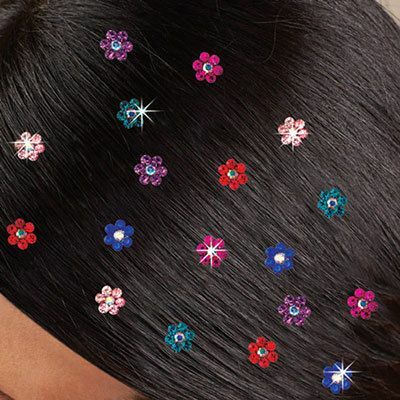 Twelve screw-style Crystal Flower hair accents features colorful, flower-shaped rhinestones. Set of 12, includes two of each color: fuchsia, lavender, ocean blue, royal blue, pink and red. Multiple sets shown. ½" dia. each. Hurry! Quantities are limited!